Some of you may not know that making mix tapes is actually a spiritual gift of mine. Since music makes the people come together, I decided that last night’s recap will be in the form of a “Women Tell All” playlist. Enjoy! Just like the hit single released in 1979 by the Queen of Disco, Our Host Chris Harrison commands the studio with a certain charisma that oozes through your flat screen. His suit is immaculate. His deep blue eyes are dazzling and the highlighted locks are perfectly tussled. Aside from the wedding ring he janked from the Godfather prop room during the Paramount Studio tour, Harrison was looking fly. Hot stuff indeed. According to ABC, it was the slap heard around the world. Chantal was the first one out of the limo and graciously struck him across the face on behalf of all the women watching. Really ABC? Aren’t you getting a little ambitious with the Nielson Ratings? Perhaps it was the slap heard around the homes not watching Monday Night Football or the ridiculously awesome folks reading IHGB.com. Too bad the next track isn’t “Mama Said Knock You Out” courtesy of Mr. Stephen Bradley Pickelsimer. I’m sure THAT would have been heard around the world. Madison’s fangs landed an entire 30-second package in this two hour long tour of regurgitated footage. Brad understood it wasn’t a game and commended her for being her weird self. He wishes her luck in her fang banging endeavors and hopes she finds a nice, normal vampire to love. Much like Johnny lamenting about the bitterness of a man who works long and hard hours with no reward, Shawntel N. decided to bite the bullet and tell Brad about her funeral directing job. We once again shuttered at the descriptive words used to describe the embalming process and are thankful that “leakage” and “orifice” are not available song track listings in an iTunes search. Brad couldn’t get past the tales from the crypt and sent Shawntel back to Chico. After 45 minutes of recaps within a recap, Harrison switches gear and dramatically announces that the Bachelor Pad 2 will be airing this summer! Hand sanitizer is passed around the studio audience before they roll the b-roll package of former cast members laughing, boozing, making out and hooking up behind bars and under pool tables. From what I can gather, ABC locked 500 past season Bachelors and Bachelorettes in a swanky club with only hard liquor, hot tubs, glow sticks and techno music and watch the madness and STD-sharing unfold. As a result, Kasey wants to guard and protect Vienna’s heart, He Who Must Not Be Named pervs up the joint by looking up girls’ skirts, Roslyn hands her number to the boom mic guy, the bartender and ABC intern who she wants to make into a real man because we are “sexual creatures” according to her bang brad. Some chick from season one loves being in the Bachelor family because even if you don’t find love on the show, you can find love with someone from another season. See last sentence of track six. One girl kept popping up all night long rambling about everyone on the show and I truly had no clue who she was. Thanks to the ABC graphics department, the name Marissa appeared below her face. Puzzled because I didn’t even remember a girl named Marissa being on the show, I re-read some earlier recaps (man I’m funny) and discovered that she’s the one that wrote Brad a letter on her spiral bound notebook. Eighteen pages, front and back. You want to run faster because her laughter burns you up inside. You’re spinning round and round. You can’t get up…you try but you can’t. Quien es esa niña? Who’s that girl? Or more importantly…who cares? “It’s like a buffet. Where do we start?” Oh Chris Harrison. You slay me with your witty, sarcastic, hot introduction of the competitive montage. To save time and precious brain cells, let’s beta cap this section: Curly hair girl sarcasm, Michelle defending, Stacey b!tching, Who’s That Girl know-it-alling, Jackie complaining, Jackie cursing, Lincee laughing, spider comparing, Michelle crying, Harrison watching, Harrison smiling, Harrison fuel on the firing, everyone talking, Lincee’s head aching, psycho counting, dramatizing, feelings hurting, Michelle crying, Harrison en fuegoing, Raichel shouting, Melissa defending, adrenaline running, finger pointing, Raichel eye rolling, Melissa onion breathing, Jackie finger wagging, Harrison basking, Lincee fast forwarding, Michelle crying and headache pounding. After crying through most of the competitive montage, Michelle enters the hot seat wearing a cow print tank top and enough huge turquoise rocks around her neck to cause permanent injury. 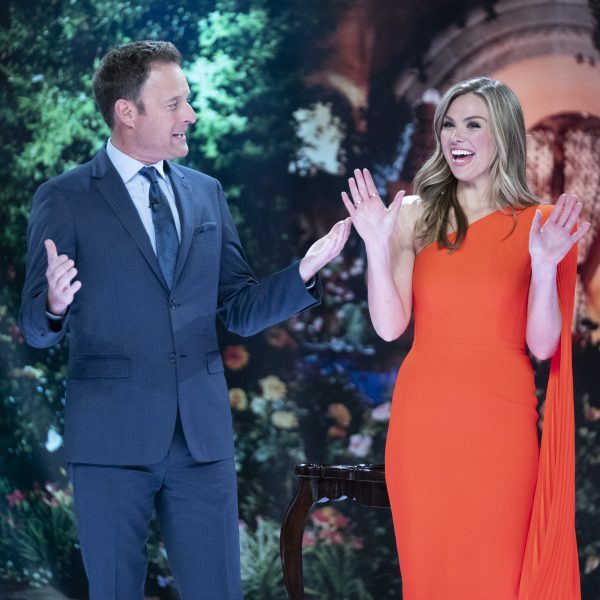 She promises to not ugly cry as Our Host Chris Harrison lets her sit and stew in her own crazy juices. Harrison thinks she was the most entertaining part of the show and I have to agree. 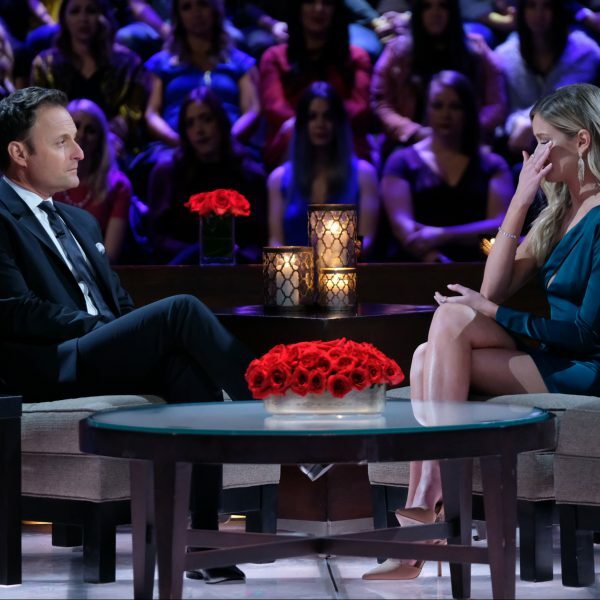 Since she’s been gone, the fun factor of the Bachelor has been sucked out of each episode. Harrison compliments her for being a fellow smart alec, knowing that she didn’t REALLY want a monkey to attack Chantal. Harrison continues to turn the heat up, milking the awkward silence whenever appropriate while asking Michelle if she regrets being the “crazy one” on the show. Her politically correct answer drives the little blond chick crazy as she boldly breaks the hush that had fallen across the candle-lit studio saying, “What a sob story. I don’t buy it.” Michelle mentions her long lost daughter and the attack begins. Stacey jumps in, little blond chick continues to push buttons and Jackie gives her two cents. Michelle begins to hyperventilate due to the pressure, the weight of her boulder necklace and the sickening aroma of lavender filling her nostrils. The girls begin to chant, “KILL THE BEAST” when a deafening, shrill whistle issues forth from Harrison’s lips. Harrison’s whistle dominated the room as he powerfully requested for all of the women to relax. You could hear a pin drop. This is his house and he will not tolerate such foolish behavior. Be still my heart. I had never been more attractive to Harrison than in that moment. It deserved a coveted spot on the playlist. I saw “Never Say Never” this weekend and it was awesome. Just thought I would share. This is a safe place. There will be no judgment. Poor Ashley S. wanted some answers as to why Brad thinks she wouldn’t be a good wife. When he clarifies that she wouldn’t be a good wife FOR HIM she decides that she is going to buck up and move on with her life now that she is the ripe old age of 24. Then she asks Harrison if he has any friends available. Harrison reminds her that she is now in the exclusive 500-member ex-Bachelor club and there’s a guy name Kirk with a bit of a mold issue that would totally dig her rubber green bracelet. Ashley H. went from a pale white, blond, Scandinavian darling to a spray tanned, brunette Latina lover. She squeezed out the occasional dainty tear during her perky interview with Harrison and blamed herself for not telling Brad that she sort of loved…okay…really loved him. Hopefully by throwing herself on her sword and apologizing to Brad for being a total idiot, coupled with the new makeover, she’ll land a spot as America’s next rejected Bachelorette…ready to take on love once again with new skin, new hair and a new attitude. This is what we thought the entire time Brad was sitting on the couch with Harrison. Right? Am I the only one? Hello? Is this thing on? Brad rejoices in Ashley’s reinvention, admits that he would defend Michelle until he was blue in the face and tells Ashley S. that it’s not him…it’s her. It would have been nice to get a little bit more than a minute-long package of Brad and Harrison playing with adorable ABC-sponsored African kids. Additionally, I’d think that ABC could afford a few more furnaces to help the village have warm water, no? SPOILER ALERT! Brad tells Harrison he is the happiest his ever been. Well crap. There goes my dream for another diss at the proposal pedestal sponsored by Home Depot. I had high hopes that he would walk away AGAIN. No such luck. I’m all about the shame, not the fame! LOL! So great Lincee. I love the scene recap of Michelle crying. And Ashley S could TOTALLY hook up with Kirk and share lime green bracelets. Bring on Bachelor Pad 2! I also love the movie “Who’s That Girl?”, but I happen to be partial to a Mr. Griffin Dunne. Love the mix! “Who’s That Girl?” – LOL with an uncontrolled nose snort! 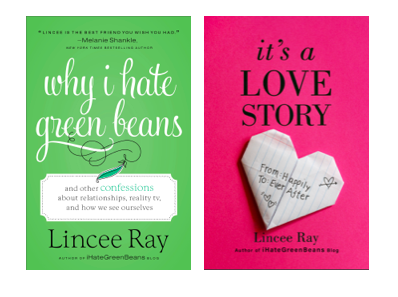 You are too much Lincee! Your line about Harrison letting Michelle ‘”sit and stew in her own crazy juices” was the best! I so enjoy your recap much more than the show. Thank goodness I wasn’t the only one who noticed the green rubber bracelet. Huge turquoise necklace – kind of reminded me of Wilma Flintstone. I think my favorite part was the reference to Kirk with the mold problem and good-cause bracelet. They would totally be perfect for each other! Except for she’s too sweet and precious for Kirk’s creepy dad and his basement. That was Kirk’s dad, right? Thanks everyone! I am hopeful that people will enjoy this new twist on the recap. I had to do something with this BORING episode! I swear I saw more of (and heard from) the super random, super annoying girls (can Jackie please never talk again?!) last night than I ever wanted to–and hardly anything from the girls I actually liked (not a peep from Chantal from Chico?!) who actually entertained me and actually had a shot with him. After all their whining about how MIchelle was “so mean” to them and “hurt their feelings,” I felt like “Cry Me A River” should’ve been on your list as well. It’s a REALITY SHOW where 25 of you COMPETE for a guy’s attention, not a middle school sleepover! Toughen up ladies! Anyway, great recap, as usual Lincee! Add the song Crocodile Tears to the playlist, thats what I thought when Michelle was doing her big scene. If she was really crying that much her eyes would have gotten puffy. I kept saying why are all those girls Ive never seen before doing all the bashing. LOL were they even on the show? I actually went downstairs and did some laundry while Melissa and Raichel (did i spell her name right?) carried on. Please. I am pretty sure they either wanted their 5 minutes of fame or wanted to be noteworthy enough for Bach Pad 2. Not sure about Michelle. No doubt will she be offered a Bach Pad2 gig. I hope she has a good support system to take care of her daughter; grandparents etc. I don’t blame anyone for trying to make alot of money in a few weeks, especially if it is money needed to take care of a child. I get that. Great WTA play list. For all of the very bad behavior by these women may I add to the play list – “Shame,Shame, Shame” Shirley and Company 1974? Thanks for the awesome recap!!! We have an intern at my office with a voice that makes me want to poke my eye out. Last night I realized that he sounds exactly like Kasey. Now all I can think about when I see him is that he needs someone to guard and protect his heart (and I still need to poke my eye out). “Eighteen pages – front and back!” SO PROUD to be of the TV-watching generation who totally gets that reference. Great recap, as usual. I vote Emily, but I have a gut feeling he picks Chan-tell.